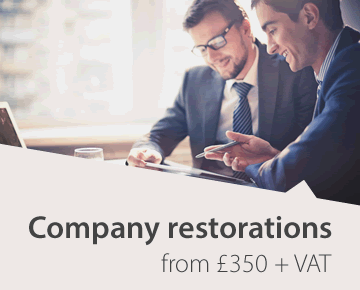 Incorporation Services is the division of Company Law Solutions Limited that provides an expert and efficient service for the registration of all types of companies in England and Wales, Scotland and Northern Ireland. Company Law Solutions, which provides highly cost-efficient company law services for private companies such as setting up classes of shares, issuing and transferring shares, share buy backs, reductions of capital, shareholders' agreements and amendments to articles of association generally. Community Companies, our specialists in community enterprises, charitable and non-charitable companies limited by guarantee, CICs and Community Amateur Sports Clubs. Company Law Club, the most extensive free on-line information service on UK company law, provided to support our clients. We have offices in Newcastle upon Tyne, England and Edinburgh, Scotland. We have been in business in Newcastle upon Tyne since 1978, and have a very strong position in the North East of England, though we also have many clients throughout the UK and abroad. Our Edinburgh office opened in 2013 to provide services to clients in Scotland, where there is a separate legal system and companies registry. Our commitment is to provide our clients with the best possible service. As a small, specialist company, we combine an extremely high level of technical expertise with a friendly personal service. Most of our business is with long-standing clients in the law and accountancy professions, and by personal recommendation. Please read what some of our professional clients say about us. While using the latest technology to provide the quickest and most efficient service, we still welcome the personal contact of a telephone call or email to sort out any particular requirements. Our service is completely flexible. We do not insist that you fit within a standard package. Our price lists are guides to typical services. All work is carried out by our qualified and experienced staff under the direct supervision of our directors, who have over 75 years of experience in this work between them. Please read what some of our professional clients say about us.